Well, the sunshine has finally arrived and that means one thing in our household - garden projects! With the help of the Ryobi grass trimmer, which is part of the ONE+ range, we were able to clear the grass around my son's playhouse. His daddy had hand built this last year and now we finally got round to adding the finishing touches to it - the door and interior and boy, does my son love it! 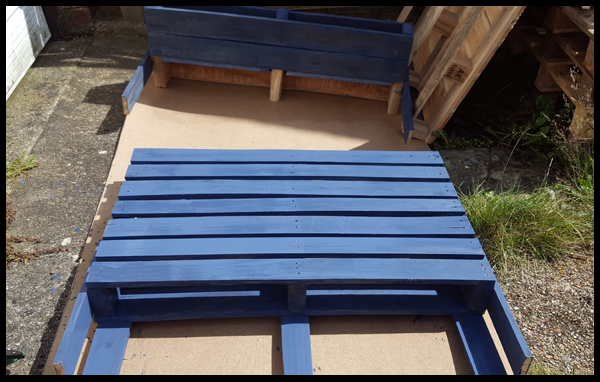 There are rumours afoot that the man of the house would like to run electricity up to the playhouse - I fear my son may lose this for a man cave, so I've decided to keep the boss man busy with more garden projects, the next being creating a potting station! 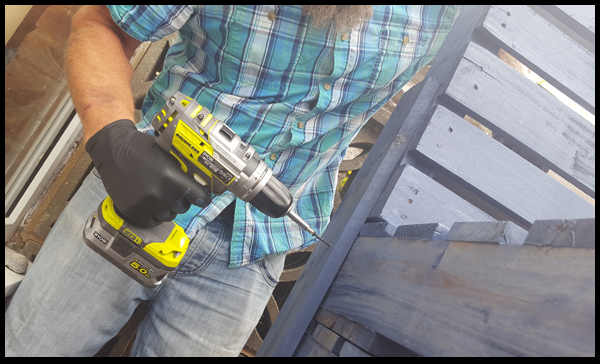 For this, we sourced 8 large pallets, accessories, and Ryobi ONE+ tools - this is where we can use the same battery for all the power tool needed saving on costs. The paint was leftover from the playhouse, so all in all, a very thrifty project to make. 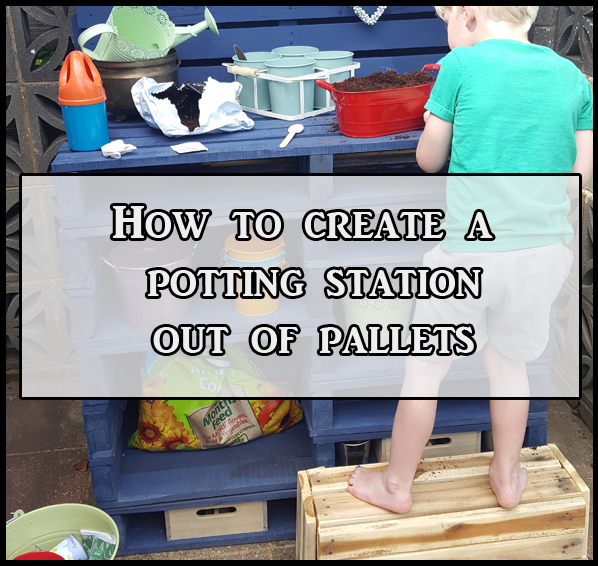 The space I had for my potting station wasn't quite big enough for the depth of the pallets we had, so our first job was to saw the back section of the pallets off. For this, we used our One+ battery from the grass trimmer and placed on our Ryobi saw. Once the pallets were in place we marked out which sections we wanted to cut out to give me storage space for my pots, compost bags and other equipment. The back of my potting station is another pallet, the same depth as the others. 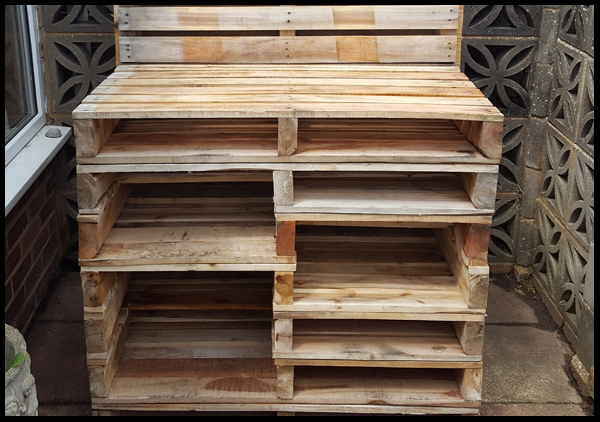 The top, however, is the leftover section of one of the cut pallets - waste not want not with pallet projects! Once all the sections were painted we moved the pallets into place. This is where some muscle definitely comes in handy as these pallets are a lot heavier than they look. 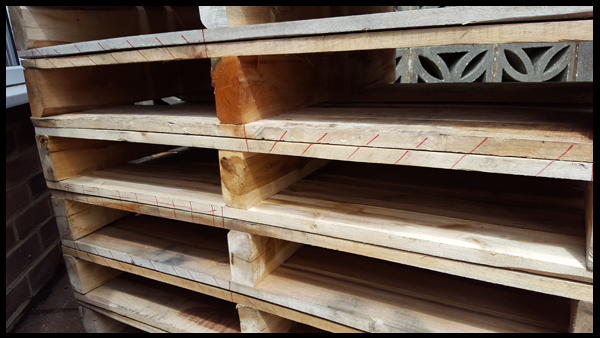 Because of the weight of these pallets we haven't screwed the lower ones together, but we have for the top sections for security. Making sure the potting station is in place, with a little helper! 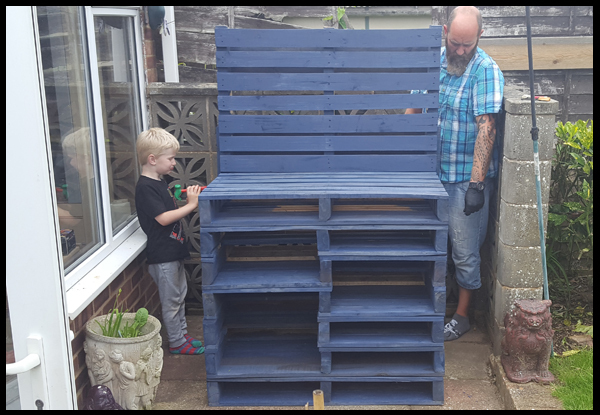 The stool my son is standing on - handmade from pallets. 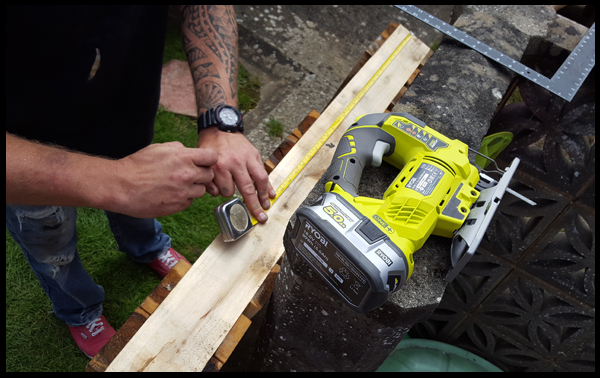 As for the tools - same battery, 2 power tools thanks to Ryobi's ONE+ battery fits all system. Now, as lovely as my new potting station is, I couldn't help but give it some new gardening pieces, and to my delight, my local B&Q centre had a few plants and pots in their clearance section. 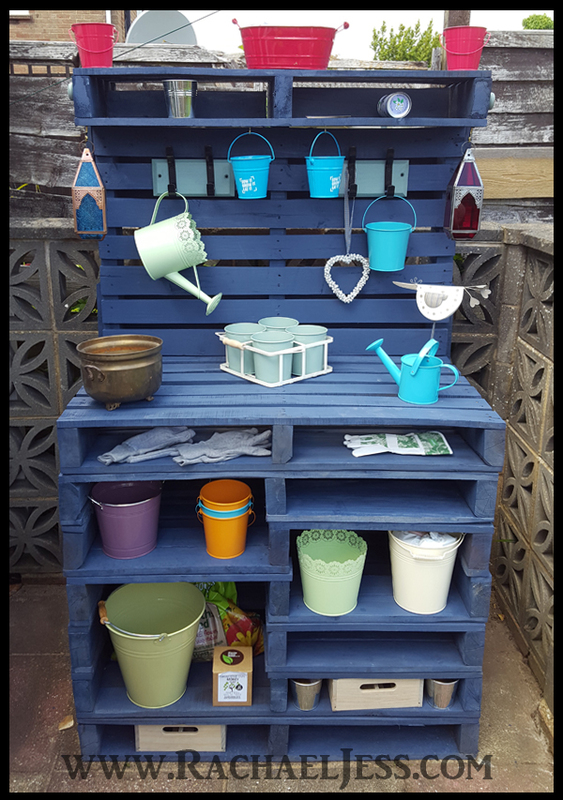 With pieces from other supermarkets and TKMax, I think I have the most beautiful piece in the garden, and all made out of pallets! With the right tools, imagination and some elbow grease, you can truly make some magnificent pieces for the garden and the home, and I for one, have a few more projects in mind (and on Pinterest)! 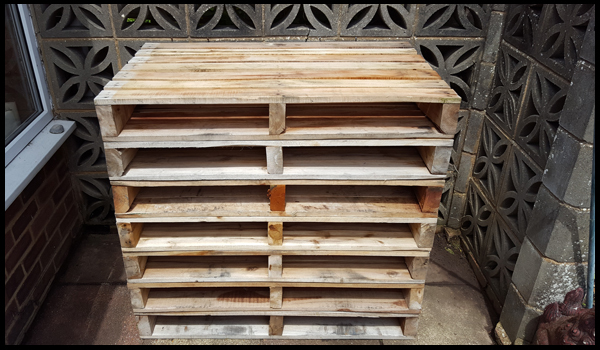 More pallet projects coming this summer.